In 2019, it’s not enough for a dish to simply be delicious. Chefs, restaurants, and mixologists are raising the bar when it comes to presentation – and with good reason! Viral Instagram posts are great marketing. As far as we’re concerned, that means we have an increasing number of picture-perfect brunch options. These are the most Instagrammable dishes we tried this spring…. because pics or it didn’t happen! Nestled inside the Four Seasons, Allium has one of the most elaborate Sunday brunches in the city. While the omelet station and bottomless mimosa option may be the main draw, we’re here for the desserts. 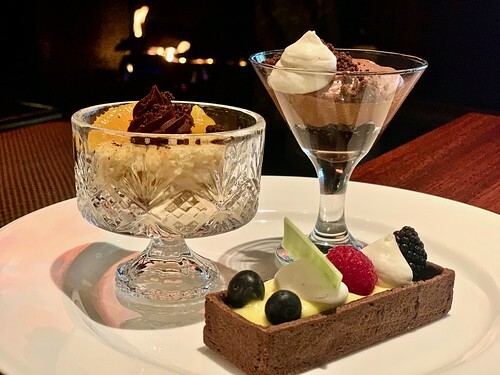 From fluffy chocolate mousse in tiny martini glasses to tres leches cakes in crystal tumblers, these desserts are decadent and darling. Read our review here. Everything about this restaurant-florist fusion is Instagrammable. Even the bathrooms look like something from a Pinterest wedding with draping white flowers and sparkling chandeliers. On the menu, it’s the craft cocktails that make our list. We tried the “firebird” and the “caged and infused,” both of which were welcome pops of color, served in gorgeous glassware. 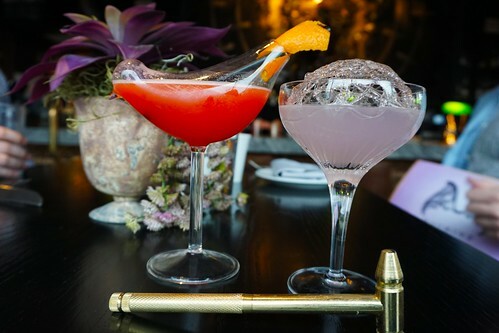 The firebird’s blend of rose vodka, strawberry puree, and lemon agave nectar even came in a bird-shaped flute. The extra touch of creativity and fun makes this an Instagram-worthy destination. Read our review here. This French toast was as picture-perfect as they come – and so very yummy. 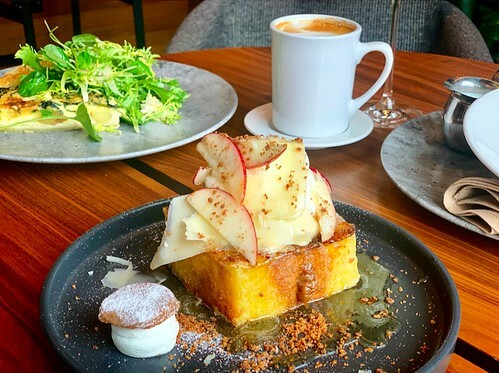 This Lake View brunch destination serves up pillowy toast topped with fluffy whipped cream, thinly-sliced apples and shaved white cheddar cheese, cascaded in a pool of applejack syrup and crunchy cookie crumbles. It looks like a work of art and will certainly be the Instagram-envy of all your followers. Read our review here. Eli’s Ark boasts the cutest ice cream cones you’ve ever seen. From piggies to bunnies to unicorns, every cone has an adorable animal face. They even have a picturesque grass wall to serve as your Instagram background. The Wicker Park ice cream shop has been serving up cones since last August, and are back for their first Chicago spring. 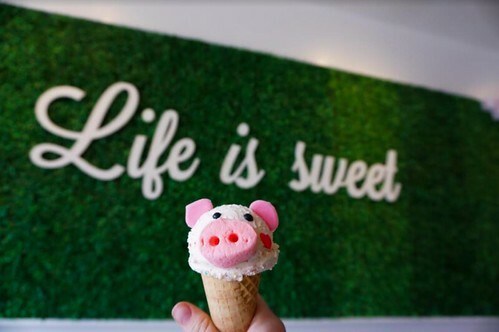 We recommend the cereal and milk kiddie cone as a pig. It was as tasty as it was adorable. 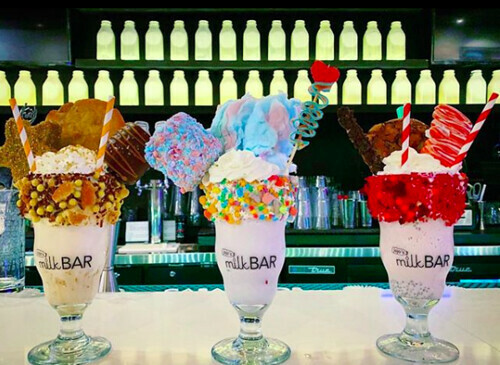 The over-the-top milkshake trend has finally made it to Chicago, and the shakes at JoJo’s Milk Bar are topping out list! These sweet pieces of art will set you back $14, but they’re so worth it for the ‘gram! You can also make them boozy for an extra $6. Our favorite? “The Wonder Years” (center) is the most Instagrammable of them all. Made of bluemoon ice cream, it’s topped with cotton candy, sprinkles, marshmallow, candy ribbon, and gummy candies. Come for the shakes but stay for the diner food, desserts, and drinks. This new River North destination has been serving up all kinds of comfort food since its opening in February.